How to make your own website for free for kids: Obviously you may looking for this guide! Right? Yes, you can create stunning website for kids and it is freely! Making website or blog site is much pleasure and mostly for kids it’s much interesting. Is not it? In my previous article i wrote an article about how to start a blog for free and make money from it and that guide got a lot of attention by some of the beginner bloggers! I say, they actually loved it! All right! In this article i am going to show you how to build a beautiful website for kids freely. You can make your website in many free platforms like as blogger, weebly, wordpress, hubpages, tumbler and so on! You might be wanting to make your website freely. Right? Well, now follow the steps on the below to create your website easily and quickly! 3. After finishing account successfully now log in with your username and password. 4. 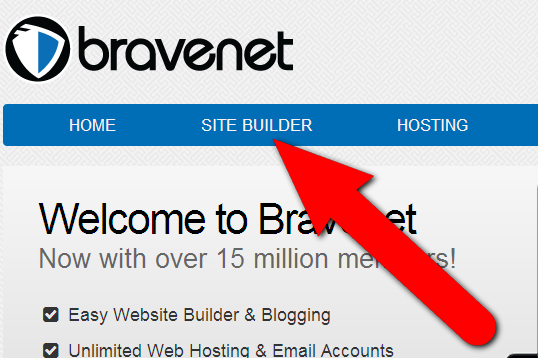 After log in with your username and password now you need to click on “site Builder” button like below image. 5. Now it is time to provide a name of the website you created. So, choose a good one whatever you love. 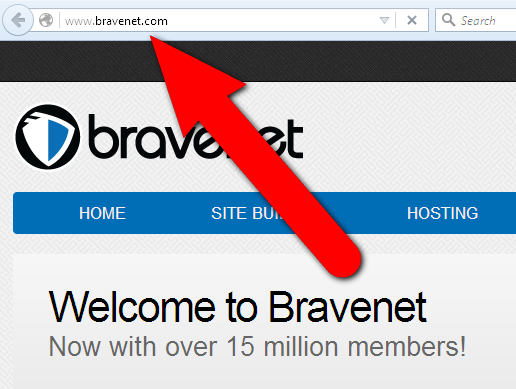 Make sure to write the website name correctly, because there is no scope for you to change the website name latter. Make sure to check the sub domain so that you don’t have to pay for it. 6. 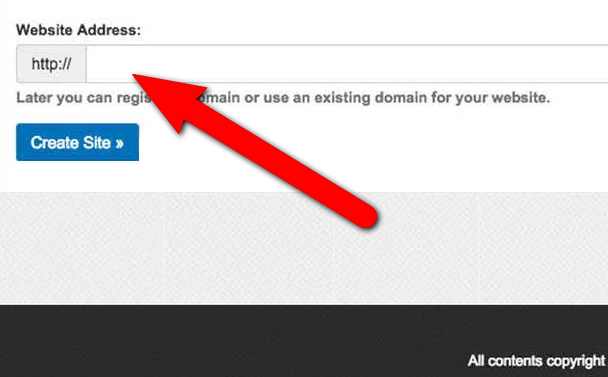 After giving your website name, make website by clicking on “create Site” button. WOW! Now you have created your website and it is time to design your website by choosing various templates you like or you can change it further! 7. 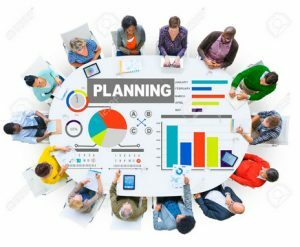 Now you have created your website fulfill. The next steps is to write post on it or upload your pictures or whatever you want. Now tell your friends about the new made website and do enjoy with them! 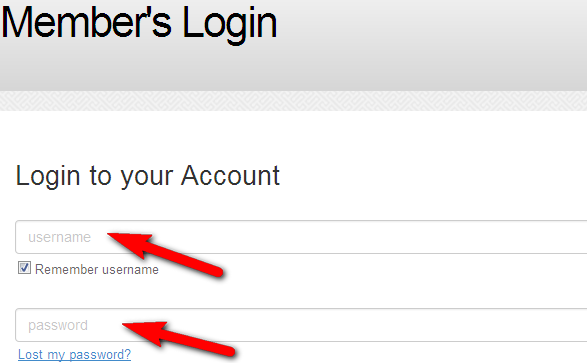 You can also make your blog on blogger and it is free too! Making blog site on blogger.com is easy and much interesting because you will there is no necessary to buy a domain name or pay for hosting. Nothing! 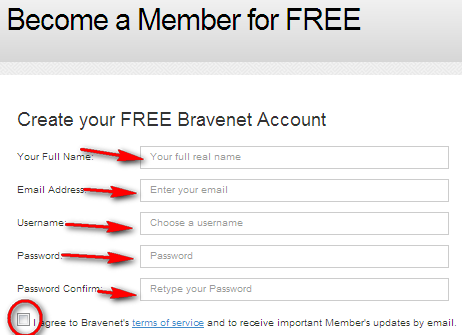 No need to buy domain name or to pay hosting fee every month! About 100 blogs you can create with just a single google account. You may have nice Favicon with less than 100 KB square image. You can get good looking templates without paying a cent! 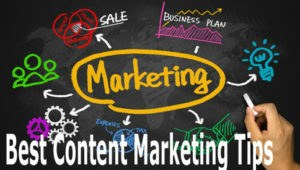 You can post unlimited article on your blog spot blog. There is no limit. 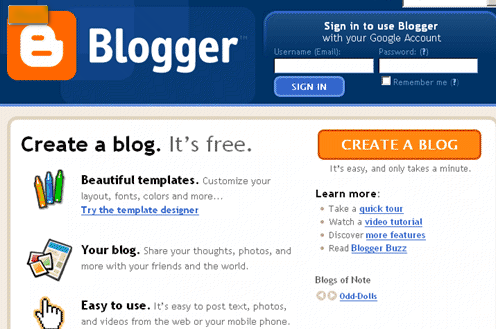 Blogger.com is own by google so you can get good services from the most well known company ‘Google’. After all, blogger.com is a very reliable platform specially for beginners or for the kids who want to have a nice site! 1. 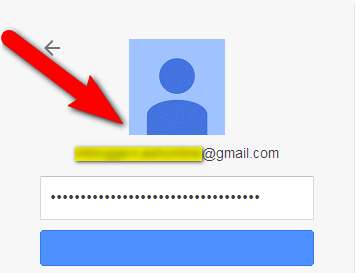 Login with your google account now! 2. Now give a name of your desired blog like showing on image below! 3. 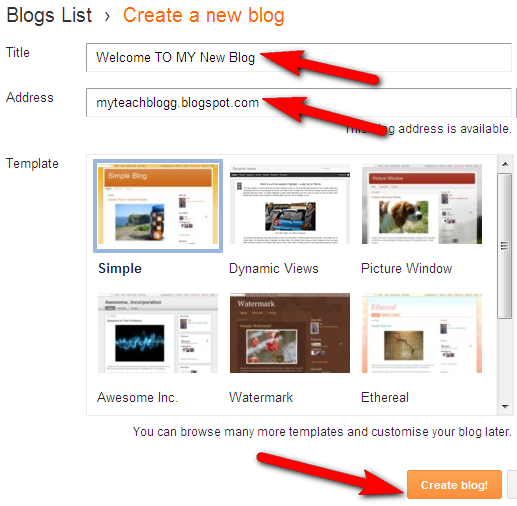 After giving a good name and title of your blog now click on “create blog” button and you are done! 4. And now the perfect time to make a post on new made blog! Right? Write your first article whatever you are interested! Hurrah! time to let tell your friends that you have a blog and to make a visit your blog! If you like this tutorial please share with your friends they might get the post useful. Will you? Do not forget to bookmark my blog (CTRL+ D) and subscribe for getting new article about all blogging tips and tricks and lots more! I am so glad to see you again on my blog! Yes, i think many newbie blogger will find it helpful besides of kids! do i get to do my blog? Off course, tell me what can i do for you?